We want to record our new album: REFARMATORY. And you are welcome to participate. WHO ARE WE? 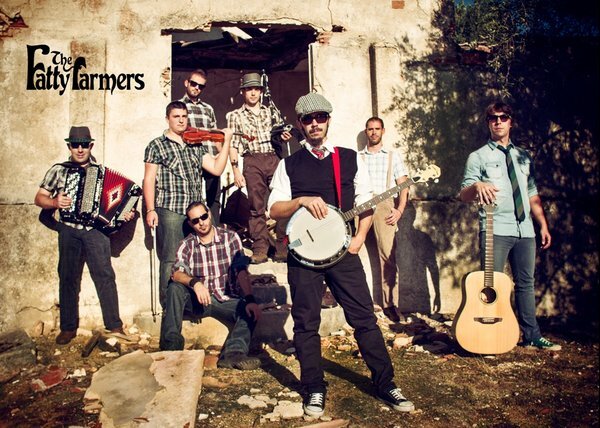 At the start of 2009 a Group of farmers from different stables appear in the music scene in Toledo to bring us a music style never heard around here. This group brings rhythm and fun with there different costumes and there hardly seen instruments. From the banjo to the electric mandolin played by the wild Rodrigo Farmer, to the bagpipes and Irish whistles by the sweet Javato, passing by “The little boy” Javito Farmers violin. The group is completed with Lamber on the bass, Lalo playing the acoustic guitar, Fignani the electric guitar and Juankar on the drums. The last one to join the group has been Goyo, a crack of the accordion and another big push to the group. Celtic Punk Rock Folk music that isn’t to be heard at home but to be seen in this groups great live show that will make you want to sing, dance, jump, party hard and forget about everything for a little bit. WE NEED YOUR HELP We thought that you can take part in this record and the best way is through the crowdfunding collaboration. So we’ve chosen to finance half of this project, exactly 55% of the cost of the disc recording, mixing, mastering, design, prints, t-shirts and music videos through crowdfunding. We are proud to announce, that we will enter the 51 STUDIOS in Toledo on the 2nd of January 2013 and the new album will be ready in March. You help us by paying in advance the album, T-shirt, or whatever you want ….. and with that money we can record our new album, make T-shirts, etc and we´ll send it as soon as possible. We´ll have 40 days to get the money and if we don´t get it, money will not come out from our pockets. Take a closer look at the rewards, we adjusted for all budgets. You can participate in the new album very actively. If you want to be a Farmer more involved in our album!